In September 2017, hackers broke into the servers of the credit bureau Equifax, gaining access to the personal information of roughly 143 million Americans. In the wake of this attack, many financial experts urged consumers to freeze their credit reports to prevent identity theft. By doing this, they could completely stop any attempt to open new credit accounts in their name. Over the course of the month, searches for “credit freeze” on Google quadrupled. Within six months, research from Fundera revealed that nearly one in five Americans had frozen their credit after the attack. Younger Americans and those with higher incomes were particularly likely to protect themselves with a credit freeze. However, the vast majority of Americans — over 80% — still haven’t taken this step. One reason is that many Americans don’t understand how credit freezes work. An October 2017 survey by Credit Sesame found that among users who had not frozen their credit, about one in five users didn’t know what a credit freeze was, and about one in three didn’t realize it was an option for them. Also, many consumers probably assume there’s no need for a credit freeze anymore since more than a year has passed since the data breach. However, according to USA Today, that doesn’t mean the danger has passed. Thieves often “sit on stolen data” for a while before making use of it, so you can’t assume your identity is safe just because you haven’t been attacked yet. If you’re one of the many Americans who haven’t frozen their credit, it still makes sense to look into this option for protecting your credit report from thieves. Here’s what you need to know about how credit freezes work, their pros and cons, and how to use one to protect yourself and your family. 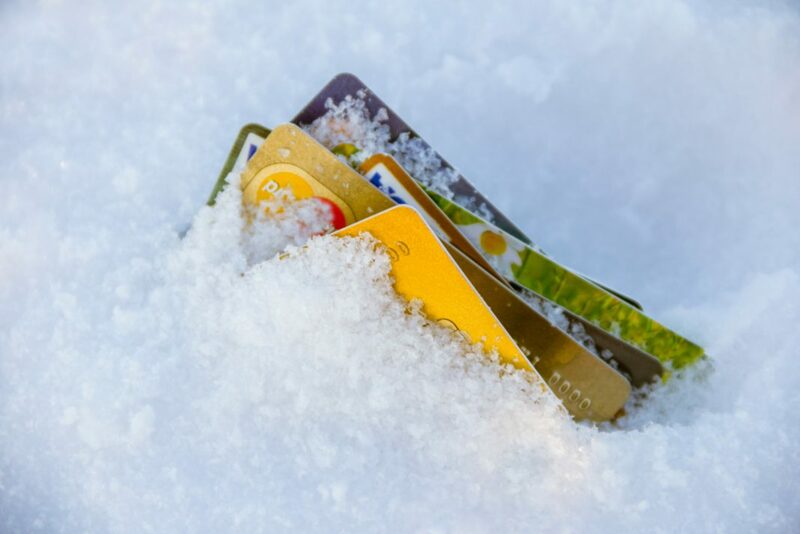 Despite its name, “freezing your credit” doesn’t mean encasing your credit cards in a block of ice so you can’t use them — although some experts recommend doing that if you have a problem with impulse spending. An actual credit freeze, also known as a security freeze, prevents lenders from looking at your credit file. Most lenders won’t open a new account without pulling your credit first, so freezing it prevents anyone from opening a new account in your name. However, it won’t interfere with any of your existing accounts, and it won’t affect your credit score. A credit freeze doesn’t block all access to your credit report. You can still check your credit report, and so can banks and other lenders you already have accounts with. Also, debt collectors can get access to your credit report, and so can government agencies with a court order, subpoena, or search warrant. Freezing your credit report isn’t the only way to protect your credit. You can also subscribe to a credit monitoring service, which tracks your credit report and score on a daily basis and alerts you to changes. Another option is a fraud alert, which requires lenders to verify your identity before pulling your credit report, usually by calling a phone number that you provide. However, most experts say a credit freeze is the best choice, for several reasons. Most credit monitoring services charge a fee of $10 to $30 per month. Freezing your credit used to involve a small fee — between $5 and $20 — in most states, with another fee required to lift the freeze if you wanted to open a new account. However, as of September 21, 2018, federal law makes both freezing and unfreezing your credit free in all states. Credit monitoring services can help you catch and respond to identity theft, but in most cases, they can’t do anything to prevent it. Putting a fraud alert on your credit file makes it harder for lenders to pull your credit report, but it doesn’t stop them completely. Only a credit freeze can block all access to your credit file, stopping thieves cold. Once you put a freeze on your credit report, it stays there until you decide to remove it. Fraud alerts, by contrast, are only temporary. An initial fraud alert, the easiest kind to get, lasts one year, and an extended fraud alert stays in place for seven years. You can only get an extended fraud alert if you’ve already been a victim of identity theft. Thus, there’s no way to use one to stop identity theft before it happens. By contrast, anyone who has a credit file can put a freeze on it. While there are many benefits of freezing your credit, there are also some drawbacks. The biggest downside of freezing your credit is that it doesn’t only stop thieves from opening new accounts in your name, it also stops you. Since lenders can’t pull your credit file while the freeze is in effect, you can’t open any new credit accounts without lifting the freeze first. To do this, you have to contact the credit bureau and ask it to lift your credit freeze temporarily. If you do this by phone or online, the credit bureau must lift the freeze within one hour. If you make your request by mail, the bureau can take up to three business days after receiving it to remove the freeze. To make things more complicated, when you freeze your credit report, you have to place a separate freeze with each of the three major credit bureaus: Equifax, Experian, and TransUnion. Lifting a freeze at one of the credit bureaus don’t affect the others. Thus, when you want to apply for a new account, you need to find out ahead of time which credit bureau the lender will contact to pull your credit file so you can lift the freeze at that particular bureau. If you can’t get this information, you’ll have to lift the freeze at all three bureaus separately. You can run into this problem even if you have no plans to take out a car loan or open a new credit card in the near future. Auto insurance companies and potential employers often need to check your credit score, and they can’t do that if your credit file is frozen. According to ZDNet, many people who froze their credit after the Equifax hack later had trouble applying for insurance through the state health exchanges created by the Affordable Care Act (Obamacare). 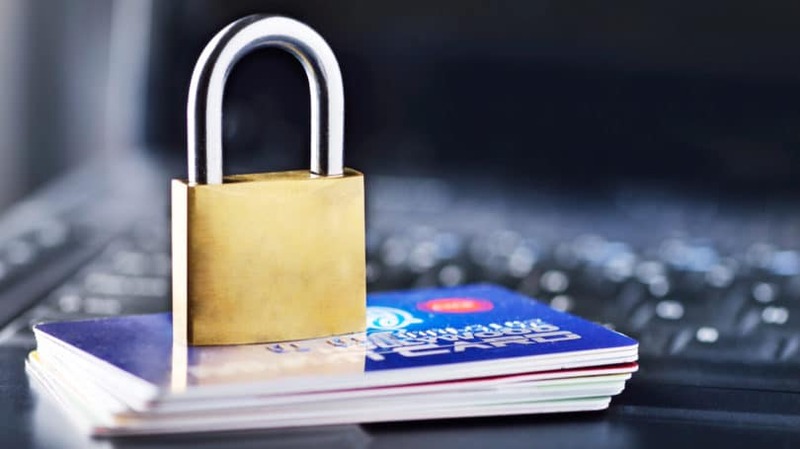 Credit freezes keep thieves from opening new accounts using your data, but this form of identity theft only affects about 4% of victims, according to the Bureau of Justice Statistics. Thieves are far more likely to steal from one of your existing credit cards or bank accounts, something a credit freeze can’t prevent. So even if your credit is frozen, you still need to be vigilant about using strong passwords and checking your bank and credit card accounts regularly. Despite its limitations, a credit freeze is still the best way to protect your personal data from misuse. To set one up, contact each of the three credit bureaus and request a security freeze on your account. You’ll have to supply some personal information — such as your name, address, date of birth, and Social Security Number (SSN) — to prove your identity. However, the whole process only takes a few minutes for each bureau. After you’ve placed your security freeze, each credit bureau will send you a letter of confirmation that contains a password or personal identification number (PIN). File this number in a safe place, since you may need it if you ever want to lift the credit freeze. Equifax. You can set up a credit freeze online at Equifax or call Equifax’s automated line at 1-800-685-1111. Alternatively, you can mail in Equifax’s Security Freeze Request Form and some documents to prove your identity. Later, you can use the same method to lift your credit freeze either temporarily or permanently. You’ll need the 10-digit PIN you got from Equifax to lift your credit freeze by phone or mail, but you can remove a freeze online without the PIN. Experian. To place a credit freeze, visit the Experian Freeze Center online or call 1-888-397-3742. You can also submit your request by mail to Experian Security Freeze, P.O. Box 9554, Allen, TX 75013. The Experian site has instructions on what to include in your letter. You can “thaw” your credit report either online or over the phone using the PIN you received when you set up the freeze. TransUnion. To set up a credit freeze with TransUnion, you can use the website or the myTransUnion mobile app, available for free through iTunes and Google Play. Later, you can log into your account online or in the app to lift the freeze temporarily or permanently. TransUnion does not allow you to place a credit freeze by phone, but you can lift one by calling 1-888-909-8872. You’ll need your PIN to make changes to your credit freeze by phone, but not through the website or mobile app. The same federal law that makes freezing your credit free also allows parents in every state to freeze their children’s credit files. Normally, children under 18 don’t have credit reports because they aren’t old enough to borrow money. However, under the new law, parents can set up a credit report for a child and then immediately freeze it. This may seem like a bizarre thing to do, but there’s a good reason for it. The very fact that children can’t use credit makes them prime targets for identity theft. A thief who uses a child’s SSN to create a fake identity can often use it for years without being discovered. A 2018 study by Javelin Strategy & Research found that over one million children were victims of identity theft in 2017. Often, these child victims don’t discover that someone else is using their identity until they reach age 18 and apply for credit for the first time. For instance, they could apply for a student loan and be rejected on account of a credit history marred by years of maxed-out credit cards and unpaid bills — none of which were actually theirs. Or, they could apply for their first driver’s license and learn that someone else has racked up dozens of traffic violations and unpaid parking tickets in their name. At this point, restoring their identities can be a major battle because the fraud has been going on for so long. This process is a bit more complicated than freezing your own credit. You can’t set up a child’s credit report online; you’ll have to submit a form by mail, along with copies of all the documents needed to prove both your child’s identity and your status as parent or guardian. This is a bit of a hassle, but it’s the only way to stop other people from abusing your child’s credit. The exact rules about what to include with your request vary from one credit bureau to the next. You can find guidelines for what to enclose, and the addresses to send your request to, on the Equifax, Experian, and TransUnion websites. 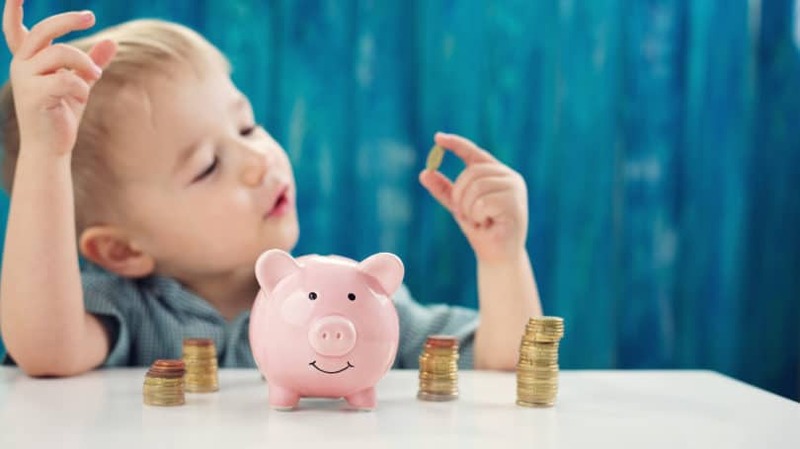 Another complication with setting up a credit freeze for your child is that you’ll have to hold on to the PINs you receive from the three credit bureaus. You’ll need these to “thaw” the credit report when your child turns 18 and is ready to start building credit. This means that if you set up a credit report for a newborn baby, you’ll have to hold on to that PIN for nearly two decades — possibly through moves, divorce, or a death in the family. It’s a good idea to make at least one backup copy of the number and keep it in a place where you’re absolutely sure you won’t lose it, such as a safe deposit box. Work and Taxes. Undocumented immigrants sometimes use stolen or fake SSNs to apply for jobs. If they’re hired, they continue to use the same SSN to file tax returns. Your first sign that someone is using your child’s SSN in this way could be a notice from the IRS saying that your child owes income taxes for this year. Medical Identity Theft. Thieves can also use your child’s stolen information to obtain medical care, or sell it to others for that purpose. You could end up receiving a bill for medical care someone else received using your child’s name. Benefits Fraud. Sometimes thieves use stolen SSNs and other information to apply for government benefits, such as Medicaid. Later, if your child needs to apply for the same benefit, they could be turned down because there’s already an account in their name. Synthetic Identity Theft. This type of identity theft involves combining a real SSN with a fake name and birthdate to create a new identity. Thieves then use this fake identity for other types of fraud. Child victims often don’t discover this crime until they try to apply for an account in their own name and find their SSN is already in use. So, even if you’ve frozen your child’s credit, you still need to be careful about protecting their identity. Keep birth certificates and Social Security cards in a secure place, and avoid entering your child’s SSN on forms unless you absolutely have to. Also, keep a close eye on your mail and follow up on any message that seems suspicious, such as a jury duty summons for your child or a medical Explanation of Benefits for care your child never received. Setting up a credit freeze can be a bit of work. Although it only takes a few minutes to establish a security freeze online, you have to do it separately at each of the three credit bureaus, and you have to contact each one again if you want to remove the credit freeze. Plus, you need to lift the freeze temporarily every time you apply for a new account or use your credit report for any other purpose, such as shopping for insurance. However, thanks to the new law, freezing your credit is much easier than it used to be. You no longer have to pay a fee for it, and if you need to lift the freeze temporarily, you only have to wait an hour instead of the two or three days it used to take. All in all, the effort involved is a small price to pay for the protection a credit freeze provides. Have you frozen your credit? Why or why not?